Guitarcaster features your four favorites to ever grace your podcast streaming device this week. Recorded at Steamboat Amps, Trevor Smith is joined by the likely cast of Jake Rynearson and Juan Magana, as well as the much overdue Cool Josh Alaniz. 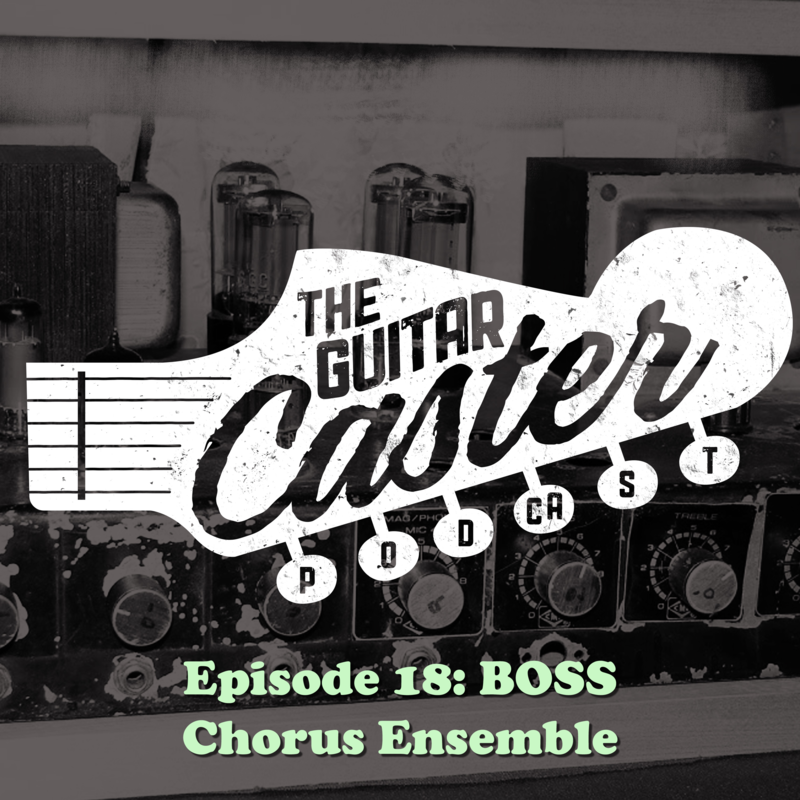 The boys discuss, breakdown, and make fun of the legendary Chorus Ensemble series from BOSS/Roland- everything from the Jazz Chorus amplifiers that started it all to the modern day Wazacraft series and everything in between. Trevor tells why he is in love with the archaic CE-1, while in-house mad scientist Juan explains the various fun mods he can perform on your boring BOSS chorus pedal. Shoot him a quick email to JuanM@SteamboatAmpworks.com and see if he can work you in. Jake’s company has been debuting new amps like its going out of style and runs through the amp in detail. In addition to all of this excitement, Cool Josh informs us on the many adventures he pursued throughout Europe on his extensive stay. This episode marks a giveaway! Anyone from the lower 48 can email us this episode’s password at guitarcasterpodcast@gmail.com to enter the drawing for an Earthquaker Devices Sea Machine v1. What about the Super Chorus? Simply didn’t fit within the heyday of the Chorus Ensemble series. Until another episode, friend! Interesting. Thanks for the awesome podcast! Keep up the good work!